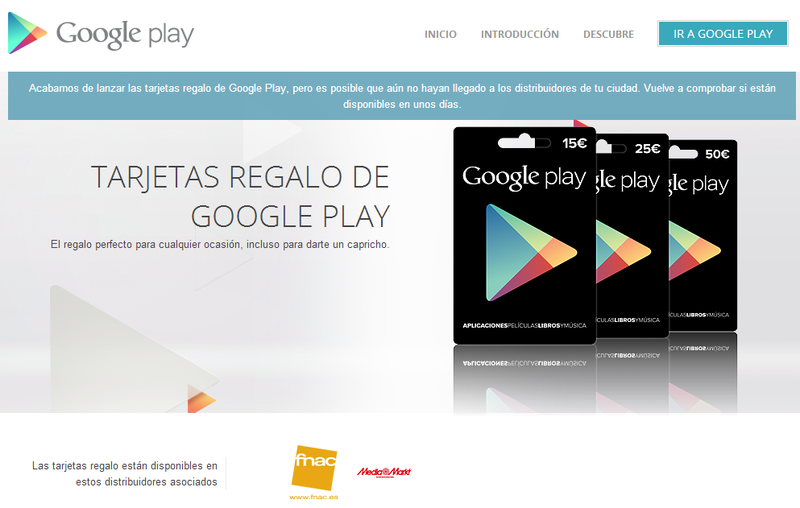 Google's steadily rolling out Google Play gift card availability to various countries around the globe. We previously reported that Austria, Italy, Spain, and Switzerland had all made the 'coming soon' list. Now all four have bumped to officially being available now. Not only can consumers find cards in local retailers, each country has its own gift card site. Here's Spain's below. In every country except Switzerland, the gift cards are available in increments of 15 €, 25 €, and 50 €. Switzerland's cards go for 30 CHF, 50 CHF, and 100 CHF instead. Google still has the majority of the planet left to go, but hey, progress is progress. To our friends in the newly supported parts of Europe, look forward to the flood of Google Play gift cards arriving as birthday gifts in the days ahead.